A short trip off the coast of either Vancouver or Victoria, BC, Galiano Island is truly a place where the ocean finds the shore. 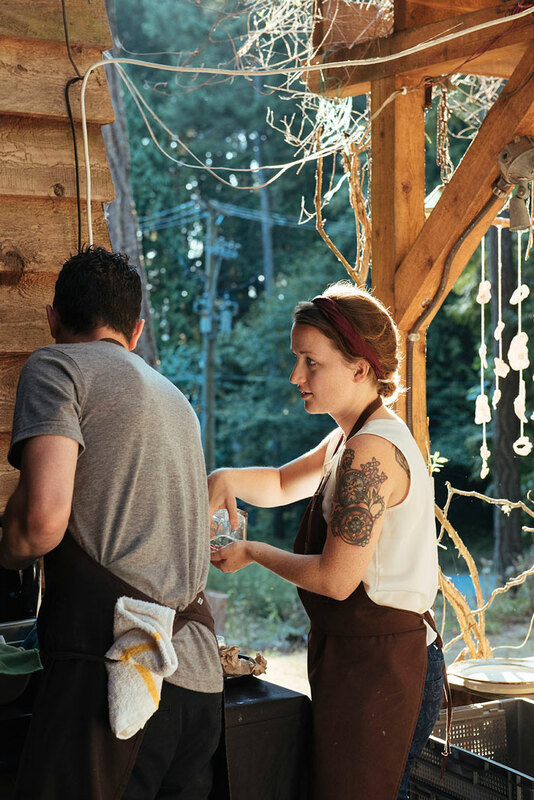 For years, Galiano remained a well-kept secret, its charms known mainly to the farmers and artisans who called it home. We discovered Galiano a few years back– our first taste of the island began with short trips here and there, and it wasn’t long before we were putting down roots. Having existed as a much loved French restaurant for years before we put our name above the door, pilgrimme is our connection to this island, and where we want to be. For reservations, please email info@pilgrimme.ca. Please check here for details on the BC Ferry Schedule. We are a 10 minute walk from Montague Marina. Currently there are no taxis or public transit options on island. Listed below are a few suggestions of the many accommodations available on Galiano Island. A stone’s throw past the ferry dock, unwind at the Galiano Inn & Spa. Self-contained log cabins and lodge on 22 beautiful acres of rural countryside at the island’s quiet North end. Nestled at the base of the famous Bodega Ridge. A little bit of BC’s coastal history, found at Cable Bay Farm. Perfect for a cozy, romantic getaway. Breathtaking, panoramic ocean views from these cottages on Galiano’s west coast.